HD Ranch is a premier, small and dedicated equestrian facility for you and your horse. 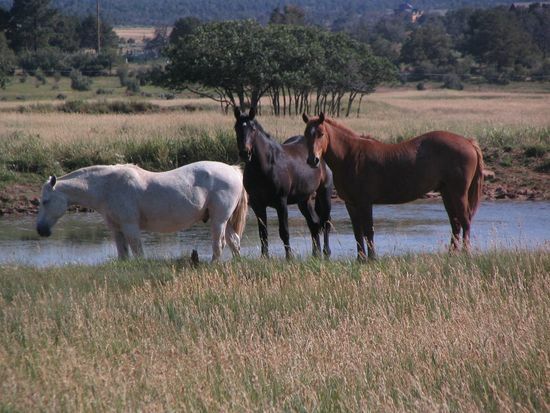 HD Ranch is located just outside Durango and offers quality boarding, pasture retirement, layups, lessons and training. We cater to clients both local and from Arizona, California, New Mexico and Utah. 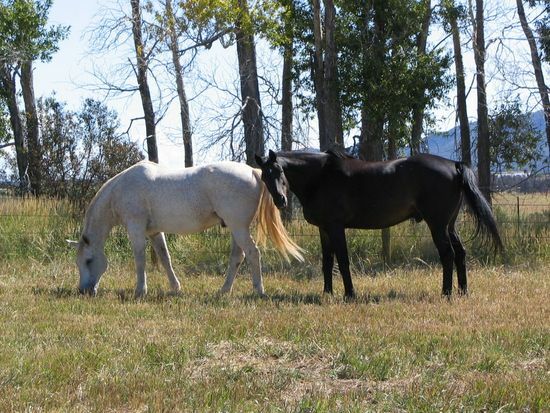 We believe horses are the healthiest and happiest if they have room to move freely and graze. Our boarding pastures are between 5 to 10 acres of brome, timothy and clover, each with a spacious shelter and water. Our Ramm rubber coated fencing is the highest of quality. HD ranch monitors horses daily and can tailor a care plan for your exact needs. After years of dedicated service what better way to thank your beloved equine than to provide a beautiful relaxed and safe retirement home. Our retirement pasture(s) consists of 50 acres of luscious deep grass, two ponds, spacious shelter and safe fencing. HD ranch has individual pastures between 5 to 10 acres. Horses are fed premium hay twice a day during the winter and early spring months. In summer they graze some as part of their diet. HD Ranch tailors board according to each horse and owner's needs, including stalls and runs for rehab and or health concerns. Horses are monitored daily. The owner of the property lives on site. HD Ranch offers lessons for first time riders as well as experience A show riders in a fun filled environment. Taking riding lessons is a great way for both the competitive or recreational rider to gain knowledge and skill in horsemanship and riding. Lessons are available for everyone whether you have your own horse or use one of our great school horses. Haul ins are most welcome. 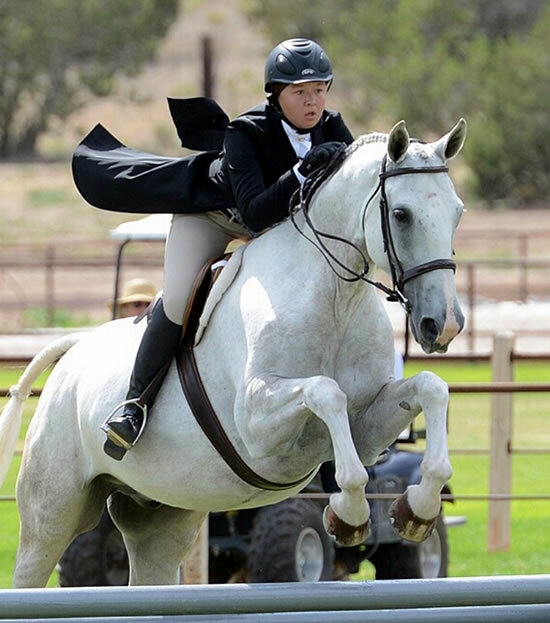 We specialize in hunters, jumpers, equitation and dressage. 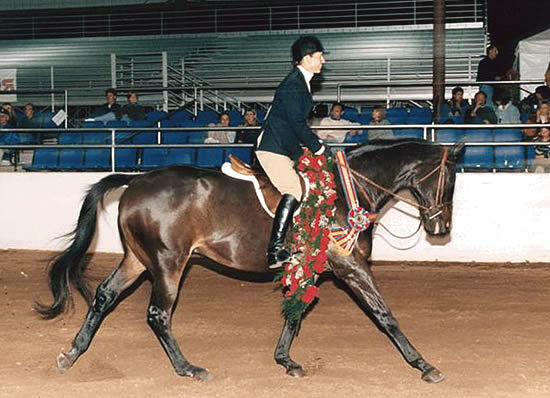 Dressage comes from the Old French word “dresser” which means to prepare, to train, to drill. At HD Ranch we train horses on their flatwork giving them a great foundation for the hunter/jumper, eventing or dressage arena. HD Ranch has wonderful training programs for horses of all ages and/or stages of development whether it is starting them under saddle, preparing them for pleasure riding or training them for competition. We can tailor a program for your horse and need and you. Please come and visit the ranch and view the facilities. We would love to show you around and find out exactly what you are looking for and make a plan according your needs. 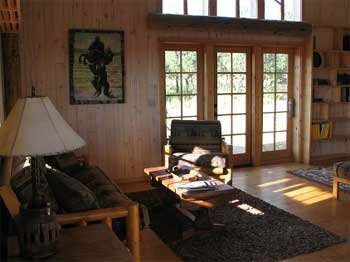 If you’re looking for a quiet getaway offering a unique experience, the HD Ranch guest house is the place for you. This charming 1000 square foot vacation rental home sits at the end of a mile-long driveway that cuts through over 100 acres of horse pasture land. The guest house features a tastefully decorated master (queen) bedroom, living room, library area, kitchen with dining area, full bath, gas fireplace and a loft area containing two additional single beds, a tv sitting area and a half bathroom. Outside on the large deck is a hot tub, chairs, picnic table and grill. 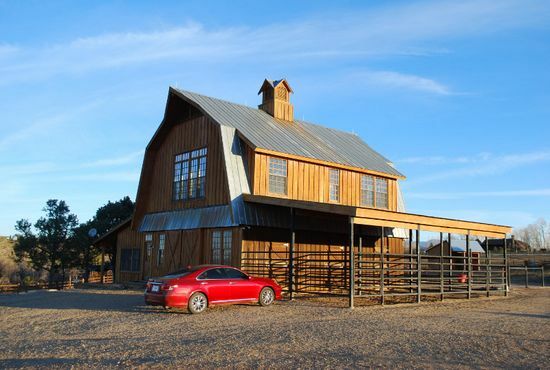 This exquisite loft rental is 1500 square feet and above a gorgeous wood barn. The loft has almost floor to ceiling windows with incredible 360 degree views. Wake up to the most magnificent sunrise or end the day with a lovely sunset while watching the horses play in the pastures. The loft has a huge master bedroom, a large office with bunkbeds, a large bathroom with a bench style shower, great room with dining area and kitchen. Outside is a picnic table and grill for your use.